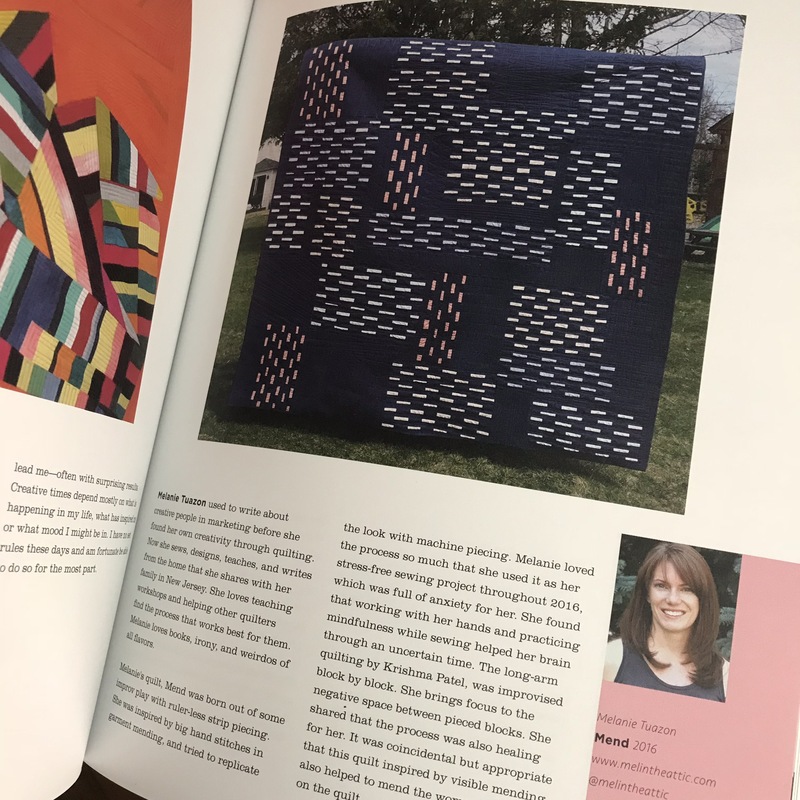 This fall, two of my quilts can be seen in truly beautiful magazines. 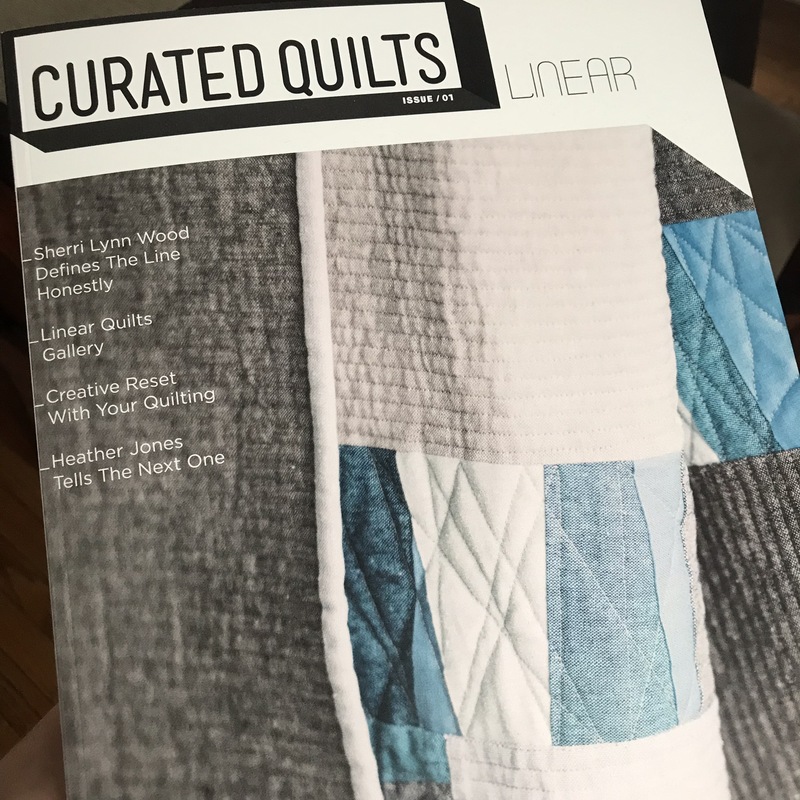 Mend is featured in the very first issue of Curated Quilts, which is a huge honor and thrill. 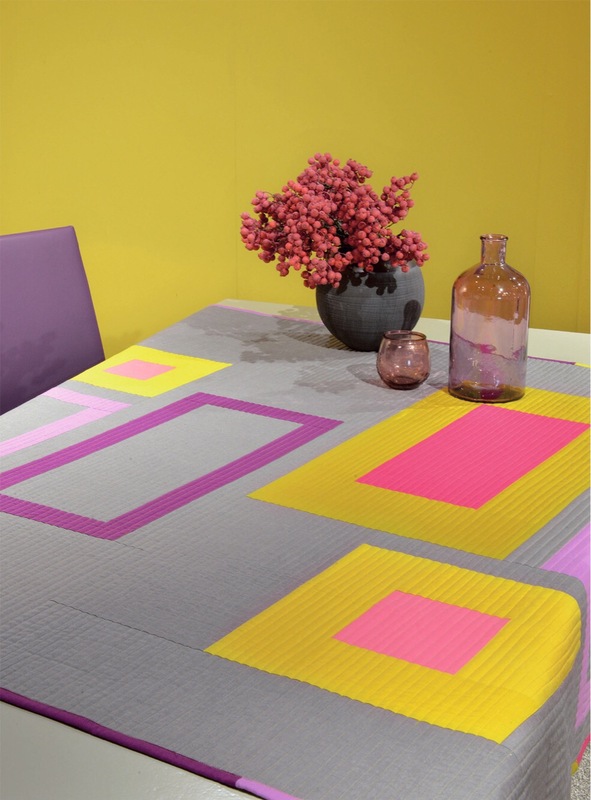 Dap is a new design, born from my short-lived participation in QDAD (quilt design a day) earlier this spring. 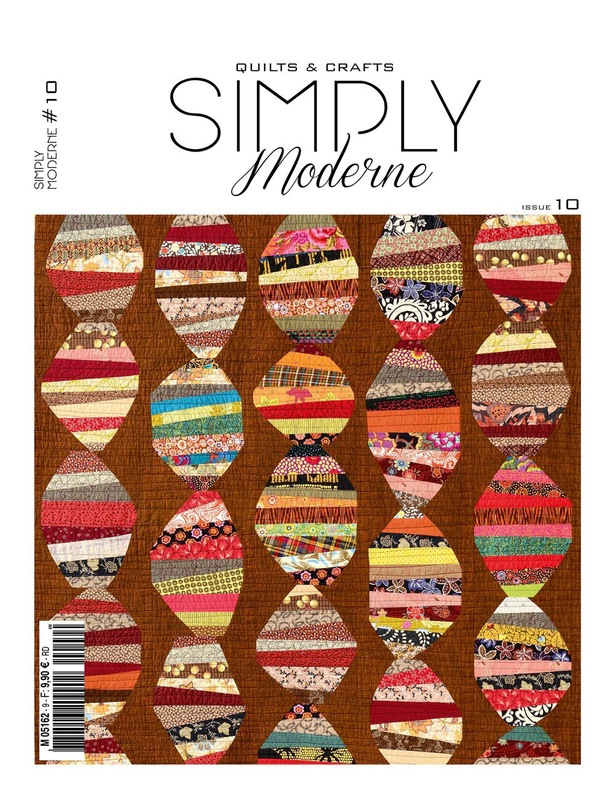 The full quilt and pattern are in Simply Moderne, a French-based magazine that can be found in some American bookstores. I hope you check them out. I saw this and was so happy for you! The colors in Dap and Fang are striking. It was nice to catch up with you today! I love Mend. The quilt, the process & everything about it! Wow, Mel! Congrats! So thankful you had me quilt Mend! I started quilting it 4 days prior to the 2016 election and finished quilting it 4 days after election. Truly mending myself and my thoughts as I proceeded to quilt each area of negative space!